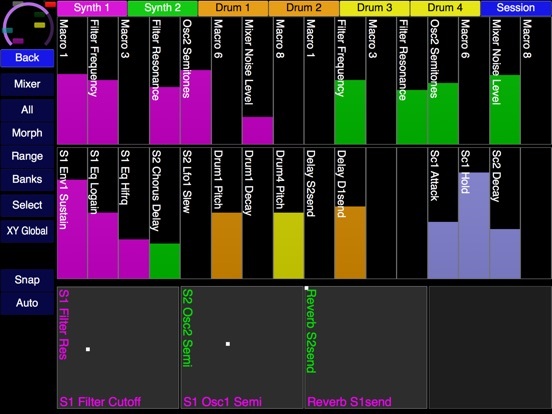 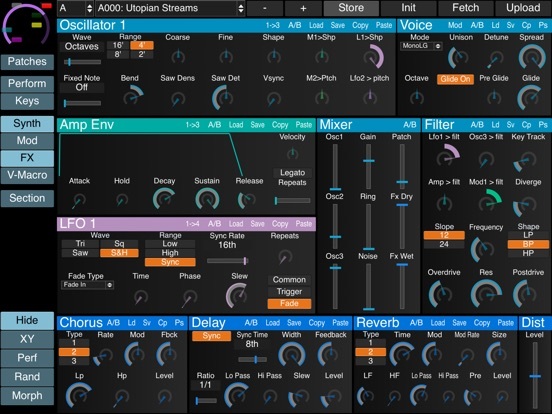 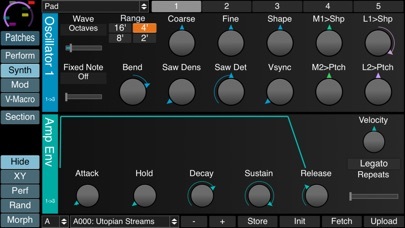 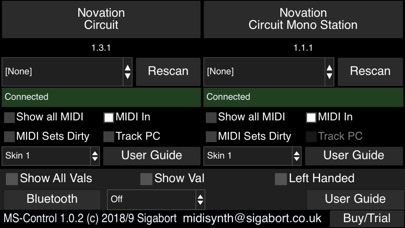 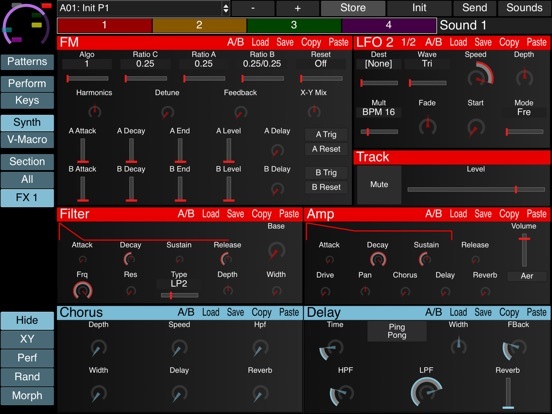 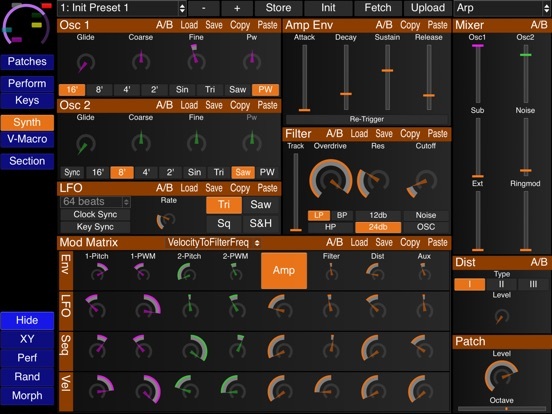 MIDISynth Control provides synth editing and librarian functionality for a number of popular synths. 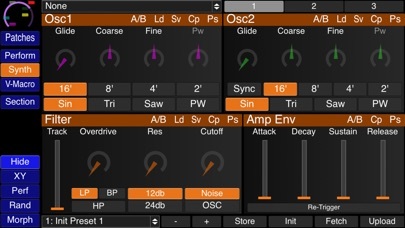 Supported synths: Novation Circuit, Novation Circuit Mono Station, Novation Peak, Elektron Digitakt, Elektron Digitone. 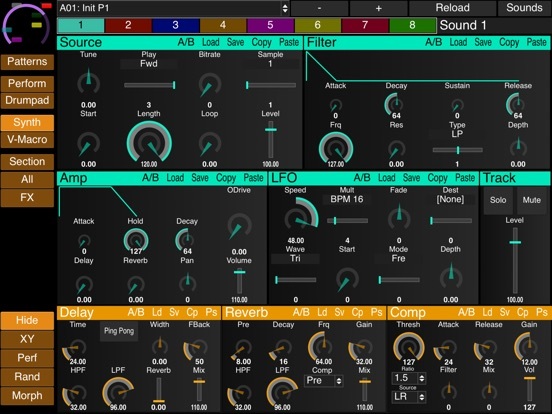 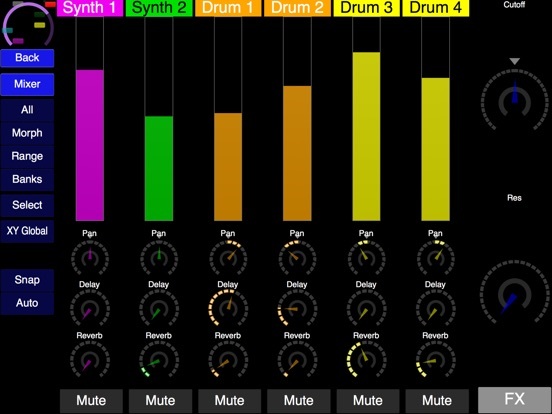 As well as being able to store and retrieve patch and synth data to/from your mobile device each editor also provides bi-directional communication, patch randomisation features, patch morphing, XY controls, mixer view (if appropriate), and a performance mode (separate In-App Purchase). 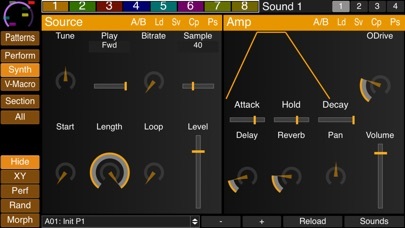 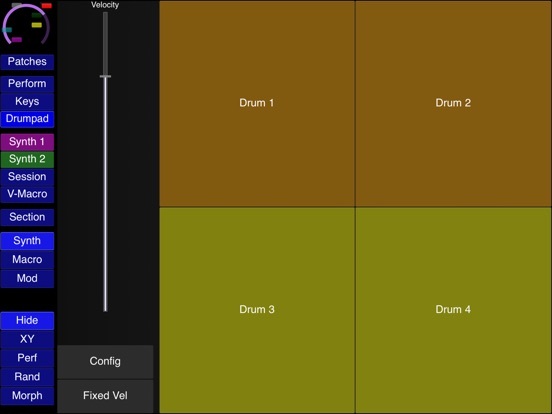 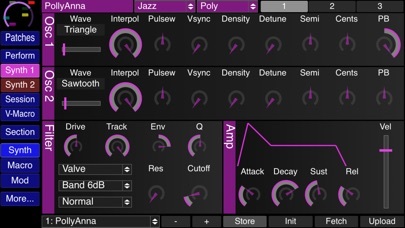 A fully featured arpeggiator and drum repeat functionality are available as an IAP. 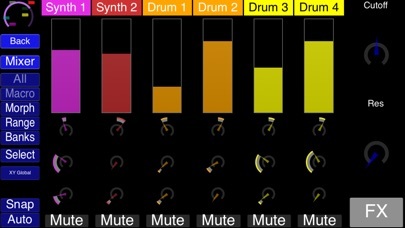 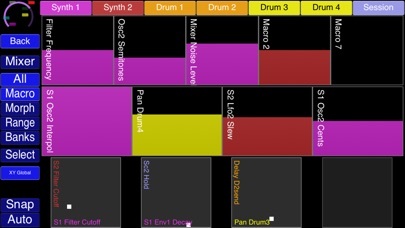 Ableton Link support is provided for syncing individual sequencers to a Link session. 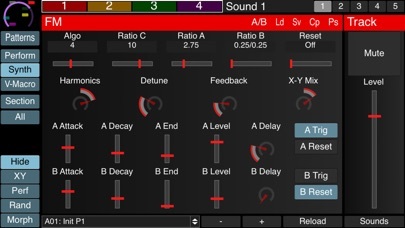 This can also be used for syncing LFO and ARP clocks if they exist on the synth. 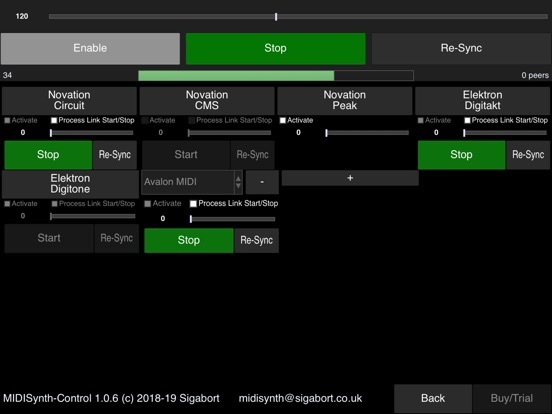 There is also a Link+ IAP available which allows up to 6 other USB devices to be synced to a Link session - this can be used standalone and no other purchases are necessary. 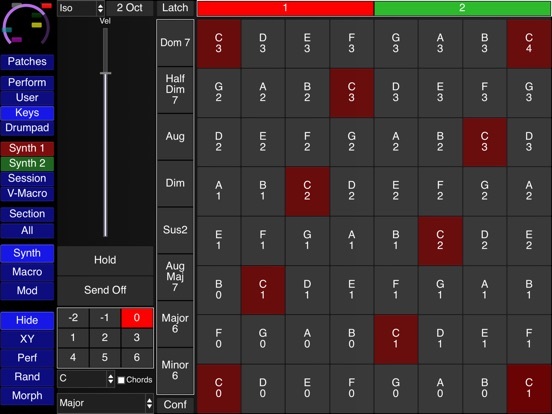 With each module purchase a single user definable layout in available in a 2x2 to 8x8 grid. 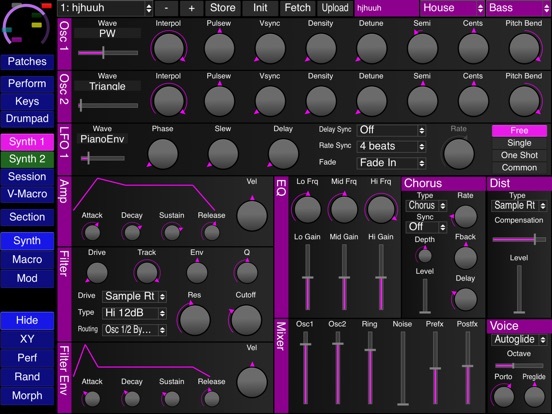 With the purchase of the Rand/Morph/Performance module this is increased to 6 user layouts. 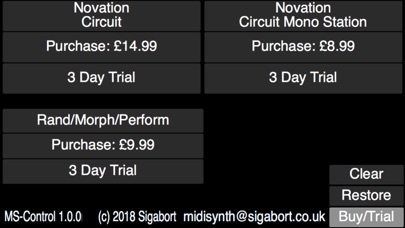 Each module offers a 3-day trial version with some restrictions in order for testing before purchase.